'Godh Bharai' is endorsed by well known actress Sharmila Tagore, who highlights that a range of interventions (medicines) can reduce the risk of mother to child transmission of HIV/AIDS. 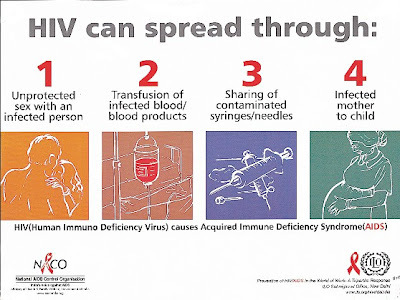 The primary effort is being directed to consult a doctor during pregnancy and take medicines which are freely available at all Government hospitals to prevent the transmission of HIV from HIV positive mothers to their infants during pregnancy, labour, delivery and breastfeeding. The year 2008 mark 20 years of fight against the menace called AIDS that had struck the humanity and still continue to destroy. It's time to `respect & protect' and `Stop AIDS'. Indian Development Foundation in collaboration with Vivek Education Society will be observing World AIDS Day 2008 on 1st December 2008 at Vivek College of Commerce, Goregaon (West), Mumbai. NSS volunteers and college youth will take part in this event. Students will speak on the topic emphasising the need for `Leadership' to `Stop AIDS'. The event will start at 10 AM at the Bedrock Hall. Dr. W.S. Bhatki, Director, MLSM will be the Chief Guest for the programme. We cordially invite you to participate and support the movement. Awareness is the key. Join hands with Indian Development Foundation. Bellary city in Karnataka is also known as `City of Victory'. The students from Nandi School in Bellary Cantonment area took active part in social responsibility programmes of IDF. Mr. Umair Ahmed K., Secretary of Nandi School and Mr. C. R. Gonsalves, Co-ordinator of the school appreciated the work of IDF in the areas of health, education and rural development. On Children's Day (14/11/08) Dr. S. Franklin, Manager (SR), IDF visited the school and thanked the schoolteam. He also presented the IDF Social Action Award to the school for excellent participation in social programmes. IDF thank Nandi School team for all support extended in creating health awareness programmes. 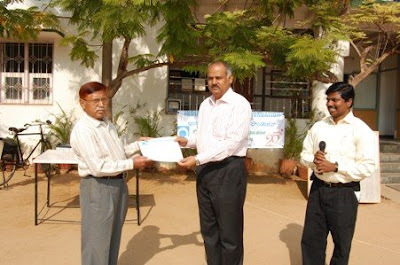 Shri P. D. Singh, Director of Tagore Group of Schools in Rajasthan presenting a donation cheque for IDF. Dr. G. D. Bakshi, Principal, Maharani Gayatri Devi Girls School, Jaipur receiving IDF publications. Rev. Fr. 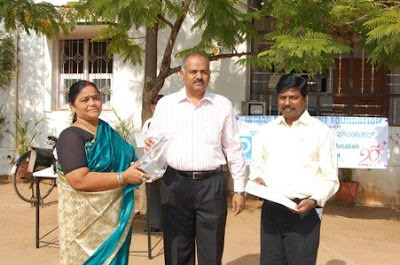 Shaji Mathews, Manager, St. Thomas School, Sahibabad, Dist. Ghaziabad and his team receiving IDF Social Action Award for excellent participation in social responsibility programmes carried out by IDF. Mr. M. Boyaz, Principal, St. Gregorios School, Dwarka, New Delhi receiving IDF Social Action Award for excellent social responsibility programmes carried out for IDF. Dr. Hepesh Shepherd, Director, Ingraham Institute, Ghaziabad sharing social ideas with Dr. Narayan B. Iyer at the Institute campus, Ghaziabad, UP. Mrs. Arpana Ruth, Principal and Mrs. Mohini Sampson, Vice Principal Ingraham English Sr. Sec. School, Ghaziabad, UP receiving IDF publications from Dr. Narayan B. Iyer. Mr. Rajendra Dhaka, Principal, Bharatiya Public School, Sikar, Rajasthan receives IDF publications from Dr. Narayan B. Iyer. Mr. Simon Peter looks on. Mr. Upendra Kaushik, Principal - Mrs. P. Kachhawaha, Vice Principal - Mrs. Lalita Vora, Headmistress and Mrs. Valentina Kathuria, Co-ordinator of Bhavan's Vidyashram handing over the donation for Indian Development Foundation. Mrs. Kamal Rathore, Principal, TIS presenting donation cheque for leprosy/ TB work carried out by IDF. Prof. N. Ravindra, Director, Goenka Institute of Education & Research presenting a donation cheque to Dr. Narayan Iyer for leprosy/ TB work carried out by IDF. The students of Mody School presenting a donation draft to Dr. Narayan Iyer for leprosy/ TB work carried out by IDF. Mrs. Tara Satyan, Director and Mrs. Usha Badgel, Principal of Blue Bells School receiving IDF Certificate of Appreciation for supporting humanitarian programmes. The winter is already getting set in the northern parts of India. As the days go by, the climate will get colder and colder. It will become very difficult for people, particular the those have-nots living in leprosy colonies and older people to bear the biting cold. It is always better to offer them blankets before hand so that they are protected. Last year we have received a very good response from the people from different sections of the society. We are indeed grateful to them for coming forward and supporting such a noble cause. We are confident that this year too we will receive a good response. The more the support received by us, the more will be the beneficiaries and more will be blessings received by you and family. We often think of doing good. Do it today and spread the warmth through your benevolent gesture. Shri N. D. Shete, famously known as Shete Saab of Indian Development Foundation passed away on 21st Nov. 2008. Shete Saab was ailing for a couple of months and when the cure became near impossible, he finally left for heavenly abode on 21st Nov.
Shri Shete was looking after the Finance and Accounts work of IDF for nearly two decades and he did his work it with great devotion and determination. He was a good writer in Marathi and has several books to his credit. An able speaker in Marathi, Hindi and English, his advocacy for the poor and the sick was commendable. Dr. Pillai, the founder President of IDF met Shri Shete on 7th January 1955 and worked together in a government office. Career in life took them to different destinations. They branched off to different work areas, only to be united again in IDF for the past 20 years. Shete Saab joined IDF immediately after his retirement from government service to serve the poor and the needy. Social work was his greatest passion. He used to travel to all the northern projects and schools viz., Rajasthan, Delhi, Punjab etc., and give talks to students on leprosy awareness programmes. A man with great principles and discipline, Shete saab dealt all matters with a radiating smile. We in IDF miss Shri Shete Saab and feel ourselves poorer by his departure. Let us pray for eternal rest of the departed soul. IDF Board of Trustees, IDF team, ambassadors and well-wishers condole the passing away of Shri N. D. Shete and convey their heartfelt condolences to his son Mr. Priyadarshan Shete and members in the family. For more pictures click the link and open the ALBUM. Indian Development Foundation will be organising Health Camps at Jaipur on Mumbai. Jaipur - 10th and 11th Nov. 2008. IDF in collaboration with the team from Sarthak Manav Kushthashram and Dr. Sahai Eye Hospital a health camp will be organised at Bright Future Sr. Sec. School, Nirman Nagar, Jaipur. Health check-ups will cover - general health, skin, oral and eye. Students from both the schools will be benefitted from the health camps. The team will also create awareness on health issues during the camps. The students from BEL Vidyalaya (CBSE), Jalahalli, Bangalore voluntarily supported the leprosy/ TB causes under the banner of Indian Development Foundation. Dr.A.R.K. Pillai, President of IDF thanked the BEL Schoolteam for their excellent social responsibility programme carried out by them. As Dr. Pillai received the donation cheque from the School he conveyed his sincere thanks and gratitude to the management, the principal, the teachers and students of BEL Vidyalaya for their splended social performance. 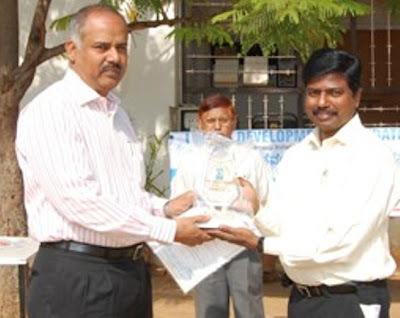 Mr. Ragupathy Madhava Rao, Principal of the school appreciated the work of Indian Development Foundation in health, education and development areas. BEL Vidyalaya is committed for such social and noble causes. We will continue rendering our support for humanitarian causes, he added. Dr. S. Franklin, Southern Region Manager, IDF, too expressed his sincere thanks to the schoolteam. The only strategy seems to be prevention and control through appropriate education. ............................Peer education schemes can be started to address youngsters who are not into the formal education set-up. Only then can we aim to reverse the epidemic and nurture a healthy generation.